Jelly Jars 4 oz.1 dozen without lids. Home > Glass / Tins / Lids > Jelly Jars 4 oz.1 dozen without lids. 4 oz. Jelly Jars 1 dozen without lids. Buy the lids separately. 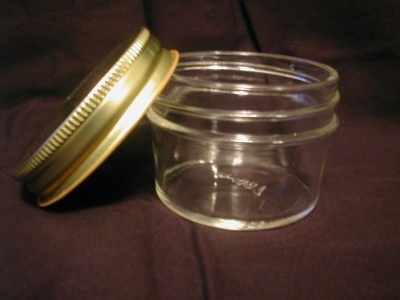 We have Gold, Pewter, Rustic, Daisy or Black lids that will fit the jars. I sell more of these size candles than any other size. I love these jars. I buy the Rustic lids for these. Great seller..